Popularly known as the blue city, Jodhpur is the second largest city in Rajasthan. The city hosts beautiful architecture, forts, palaces, temples, havelis, and they are all built with bright shades of blue. The architectural wonder, Mehrangarh fort towers over this magnificent city. You can visit Khejarla fort, Umaid Bhawan Palace, Moti Mahal, Sheesh Mahal, Phool Mahal, Chamunda Mataji Temple, Ransir Padamsar, Ghanta Ghar, Sardar Samand Lake and Palace and many more. Handicrafts are the main source of income of Jodhpur, followed by Tourism. The city produces textiles, metal utensils, sports goods, glass bangles, cutlery, carpets, and marble products. Jodhpur is a popular tourist destination, not only in India but also for the outside world. A lot of foreigners and Indians flock to see this gorgeous city. The major educational institutes of Jodhpur are Indian Institute of Technology Jodhpur (IITJ), All India Institute of Medical Sciences Jodhpur, National Law University Jodhpur. The personal loan online is now getting popular in Jodhpur. You can apply for a personal loan for any kind of emergency or for a planned event. People apply for a loan to cover their medical expenses, travel needs, educational needs or to buy any large asset. There are a lot of personal loan app available in the market. You can download the app via the Google app store or Apple app store. Register yourself by entering your basic details like name, number, address, and bank details. Enter the loan information i.e. : loan amount and the duration. You can avail a personal loan online starting from ₹10,000 to ₹1 or 2 lakhs. The duration can be 15, 30 or 90 days. You have to submit your documents online to the personal loan app. Once you submit all the details and documents, the app will then review your request. When your request is approved, the money is then transferred to your personal savings account. You need to submit your identity, address and income proof documents to avail a personal loan online. For identity proof, you can submit passport or aadhar card or pan card or driver’s license. As address proof, you can submit a passport or rental agreement or utility bills. Your bank statements and salary slips for 3 to 6 months will be required to get a personal loan. You can apply for a loan on personal loan app if your age is between 23 years to 58 years old. You have to be a resident of India and a salaried employee of a registered company. If you own a business, your business needs to be in existence for a period of 3 years. You can submit your ownership documents, business utility bills and business profit and loss statement. 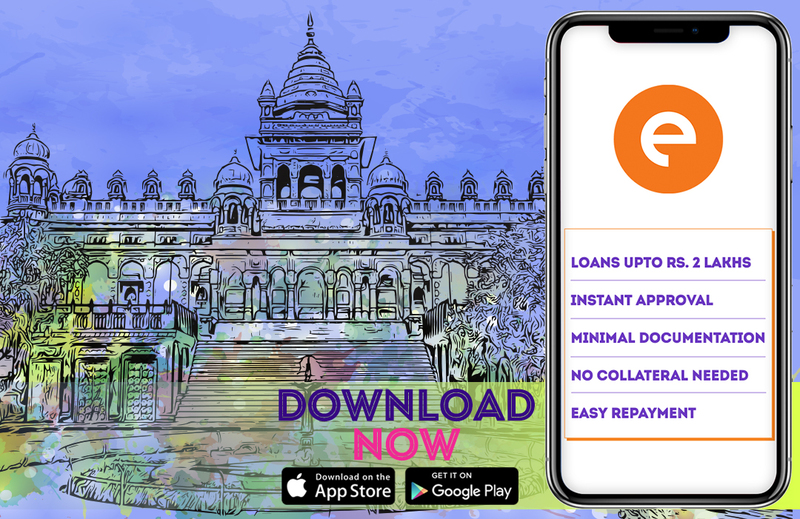 The interest rates charged by personal loan app are quite low compared to the traditional institutes as these loans are for short-term. The interest rates start from 2.5%. You can repay the personal loan online via bank transfer or by depositing a cheque.